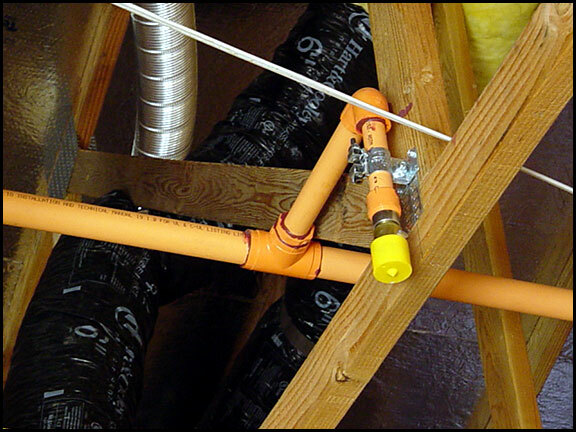 Residential plumbing, like most business sectors, is extremely competitive. Bidding is a fine science that can make or break a plumbing contractor. Then there are fire sprinklers. The installation of the fire sprinkler system can be included in addition to the work a plumbing contractor does on a residential project or a separate fire sprinkler contractor may install it if it goes to bid and they are low bidder. The plumbing contractor must be licensed to install fire sprinklers and in many cases have the best bid to acquire the fire sprinkler contract. LeDuc & Dexter is licensed and in the position to acquire the residential fire sprinkler contract along with the residential plumbing contracts it gets. LeDuc & Dexter is also able to bid and win fire sprinkler contracts on projects that have been plumbed by another contractor. Todd McCoy oversees the fire sprinkler department under Jim Kempers in the residential department. He bids on tract homes and custom homes that are usually in the range of 2500 to 4000 square feet in size. The market area includes the Counties of Sonoma, Napa, Solano and Marin. Aside from bidding on projects built by General Contractors, LeDuc & Dexter also works directly with homeowners. LeDuc & Dexter are currently engaged with Davidon Homes, Inc. of Walnut Creek on the Stone Tree Golf Club custom home project called Renaissance located at Black Point in Novato. LeDuc & Dexter have installed the fire sprinkler systems for the first 15 homes built so far. A total of 53 homes are planned for the community. The homes in Renaissance range from 1.3 to 1.7 million dollars in price.